The Leela Ambience Gurugram Hotel is one of the multi award winning hotels, which is exactly 23 kilometres from Central Delhi. You can also easily reach the hotel by traveling just fifteen minutes from the Delhi’s Indira Gandhi International Airport. The Leela Gurugram hotel comes under five star deluxe categories and comprises of 322 rooms as well suites and 90 fully serviced comfortable residences having one, two and three bedrooms. The room type includes, royal club double room, deluxe double or twin room, premier double or twin room, and there are also rooms with festival offers, deluxe double and twin rooms. You can easily plan and book your stay with friends and family at the comfort of your home in Hotel Leela Kempinski Gurugram. The multi cuisine restaurants located within the hotel are Italian, Spectra and Zanotta. Moreover, you can relish tasty north Indian dishes at Diya restaurant. To spice up the meal, you can also take some sip of drinks at the Rubicon Whisky Bar that is voted as the best bar in the country. It offers a collection of both International and Indian recognized liquors, specialty vodkas and top shelf champagnes to make every spirit sour. One of the best features of the Leela Kempinski Gurugram Hotel is the ‘Royal Club’, a beautiful designed club room with world class features like round the clock butler service, a board room and evening cocktails at the club lounge. 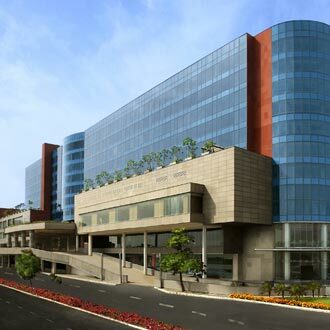 It is sited at the sixth floor of the Leela Ambience Hotel. Hotel Leela Ambience also offers exclusive spa services which is widely recognised as ‘Luxury Spa of the World’ in the world famous UK’s Conde Nast Traveller for the year 2011 and 2012. The spa menu is designed in such a way to offer the best choices indulging spa and treatment options for improved lives. Their services integrate natural therapeutic substances such as beneficial mud or oil in each massage. Just step into Spa Lavanya at Hotel Leela Kempinski Gurugram and experience the real essence of wellness and nourishment. Furthermore, the spa holds best reputation for establishing new principles in signature treatments and detox therapies. The main goal of spa Lavanya is to offer quality services at affordable rates.The pool and fitness features at Leela Kempinski Gurugram Hotel are considerably outstanding. You can equally take a quick refreshing fitness pool jump as well as relaxing quite lazy dip at the 22.5 meter multipurpose outdoor heated pool. The fitness centre holds latest cardio and strength equipments with the customized training and fitness program. The other leading features of the Hotel Leela Kempinski Gurugram include bowling, hot tub, library, pool table, golf course, currency exchange, car rental, room service, banquet and meeting facilities, car rental, dry cleaning, laundry, airport shuttle, business centre, baby sitting, round the clock front desk, baggage storage and more. Recently, Leela Kempinski Gurugram Hotel has won the India’s best Luxury and Conference Centre Award under the five star deluxe categories for its 27, 000 square feet, brilliantly finished conference, boardroom and meeting facilities. If you are planning for a lavishing holiday visit to Gurugram with your friends or family then it is best to stay at Leela Kempinski Gurugram Hotel. The hotel guarantees protection of your privacy and luxurious rooms at the consumer’s best price.